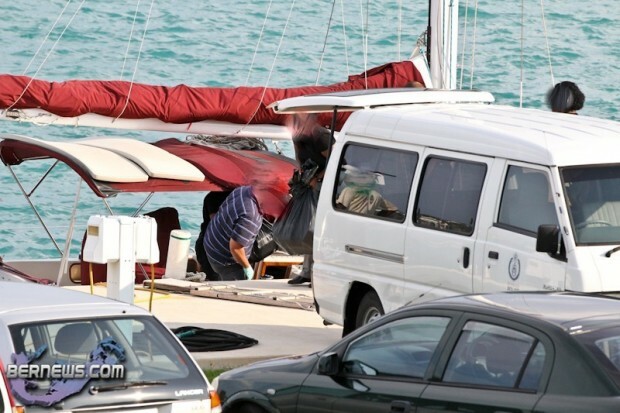 The Bermuda Police confirmed today [Aug.2] that in addition to seizing a “substantial amount” of drugs from a sailboat yesterday, they also found a firearm and ammunition on the boat. Police said that the Latvian man they arrested had diverted to Bermuda after experiencing mechanical problems with his boat while traveling to Europe, and investigations suggest the shipment of illegal drugs was not destined for Bermuda. The 28-year-old man is expected in court in due course. Police and Customs officers descended on McCallan’s Wharf in St. George’s at approximately 2pm yesterday, searching the sailboat and removing numerous bags it. Not destined for Bermuda? Hmmm… well where the heck was he coming from and where was he going? Cuz that’s a LOOOONNNNG way to go for some weed. @ real talk – comin shru s. america/caribbean gone europe. neva a looooong way for de money. Most foreign vessels carry firearms. They are declared at customs et al. Guess any port in a storm. No where in the world drugs or guns have a value like Bermuda. If that stuff wasnt destined for here he wasnt trying to make any money. Fool should have gave all of that to me and we woulda been str8.. It was definately weed! Those bails were too big for anything else. Ganja Mon knows his Ganja buh!!! 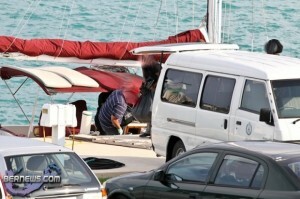 Now that we know it was 30 mill of coke and NOT destined for Bermy , how smart do you feel now Mr expert on nothing ? Coulda been the guys smoking poke ppl. Who no’s – only in Bermuda do they put value on it like they do. Now his gonna call home and tell all his frens how much money you can make off of drugs in Bermy. Some good advertising Po-po! Mee two…..muss haiv bean rastin haftar dee jernee…..Heeze hin Cashew City Kansas nah rite…. ?